Car ownership levels in Surrey have increased since 2001. 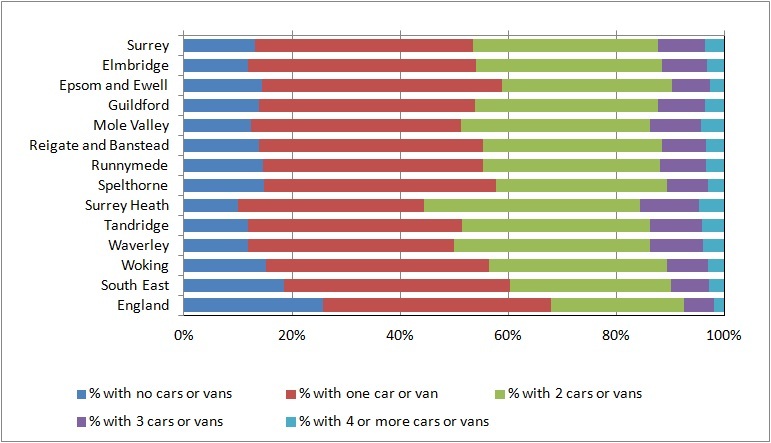 The census asked households to state how many cars or vans are available for use by members of the household, including company cars which are available for private use. Cars owned by people living in communal establishments are not counted by the census and are therefore not included in this analysis. 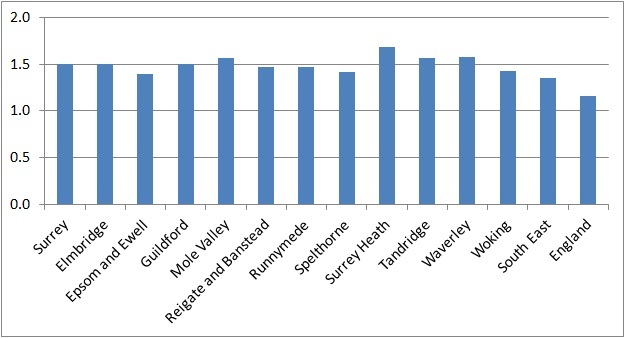 Car ownership levels in Surrey are considerably higher than in England as a whole, where 25.8% of households have no car available to them and only 32% have 2 or more. Nationally there is an average of 1.16 cars per household.